Thank you for choosing Cambridge. Please provide your name, address, and telephone number as well as the Cambridge Territory Manager who visited your project. 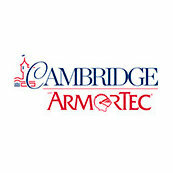 Thank you for your kind review and for choosing Cambridge Pavingstones with ArmorTec. Relationship: Contractor using almost exclusively their products.